At Listenwise, most of our content is curated from NPR stories that is produced for an adult audience. 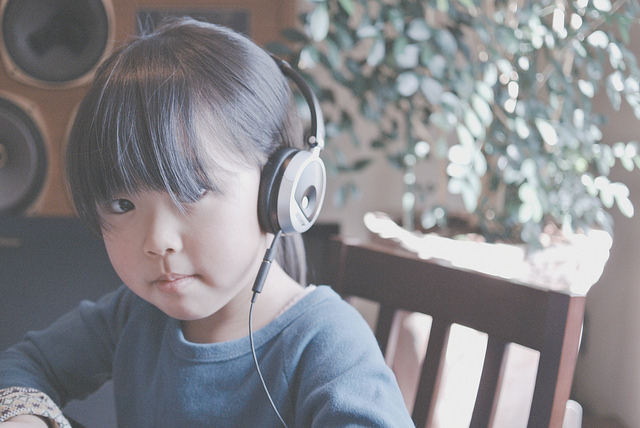 The content and the vocabulary doesn’t always fit a young audience below 5th grade – so we’ve compiled a list of educational podcasts for kids if you have a younger child who you want to teach listening! And we just partnered with Tumble, so we plan to have more Tumble curated content! 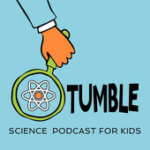 Tumble: a science podcast created to be enjoyed by the entire family. Hosted & produced by Lindsay Patterson (science journalist) & Marshall Escamilla (teacher). 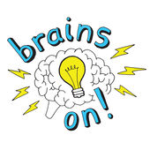 Brains On!® a science podcast for curious kids and adults from American Public Media. Co-hosted each week by kid scientists and reporters from public radio, this podcast is appropriate for all ages. 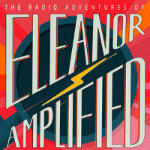 The Radio Adventures of Eleanor Amplified: An adventure series for the whole family brought to you by WHYY. Eleanor is a radio reporter going after the big story, and she values good journalism, seeking the truth, and sparking conversation. Appropriate for all ages, but recommended for kids 8-12. 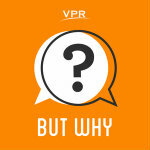 But Why: Produced by VPR, this podcast is crafted by kids! Kids ask questions and the podcast will find the answers. Questions range from “how is chocolate made?” to “do bumblebees have hearts?”, so there is something to interest everyone! 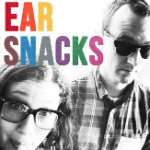 Ear Snacks: Featuring kids, they’ve interviewed 60 kids, 35 experts, and even 2 giraffes to create a podcast that is “fun and smart food for thought” for their young and curious audience. Recommended for kids 2-7 years old. 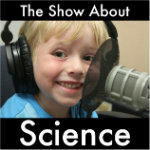 The Show About Science : Hosted by 6 year old Nate, each episode features interesting facts about science and interviews with scientists. From ants to evolution, Nate make science fun and approachable for both kids and adults alike. Storynory: Storynory is a collection of audio stories for kids. 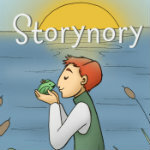 Choose from fairy tales, classic tales, educational stories, and originals from the Storynory team. Most stories are around 15 minutes, so they’re great for bedtime stories. 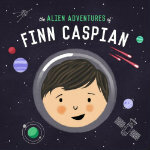 The Alien Adventures of Finn Caspian: Enjoy this serialized science-fiction story with your kids on your next road trip! This series follows the adventures of a group of friends aboard a space station as they explore planets, encounter aliens, and solve mysteries. Recommended for kids ages 5-10. Saturday Morning Media: Focused on providing quality, family friendly entertainment, Saturday Morning Media features 5 different podcasts. From a one minute long history-focused show to a video podcast of a beaver telling jokes, there’s something for everyone in the family to enjoy. 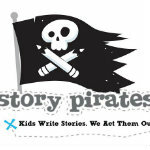 Story Pirates: They take original stories from kids and turn them into sketch comedy musicals. Their missions is to celebrate the ideas of kids and empower them to feel confident. While the shows are live across the country, you can listen to every performance on their podcast. These aren’t curated specifically for the classroom, so it’s always best to look into the content before you listen with your kids. 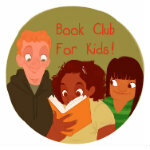 Book Club for Kids: Best for teens and tweens, this is a podcast for readers! This show features young readers talking about books, with a celebrity reading from the book in each episode. Kitty Felde has hosted since 2000 and received numerous awards including the prestigious “Literacy in Media” award. 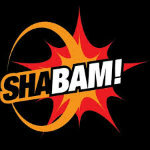 Shabam: A science show without all of the science jargon. From Fooly Boo, this science show blends real science with fictional stories. Each season focuses on a main story — Season 1 features three kid separated from their parents during a Zombie apocalypse! 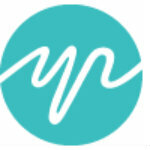 Youth Radio: The program’s mission is to “revolutionize how youth tell stories and the ways people connect with next-generation journalists and artists.” Through the program, low-income young people ages 14-24 discover journalism, and learn how to produce a podcast and articulate their stories. This podcast is the result of their six months of work in the program! 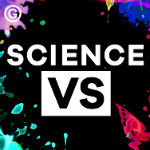 Science Vs. 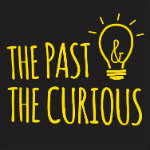 This show aims to debunk myths and tell the true stories behind popular topics. Using science and facts, Science Vs. determines whether ghosts could exists and what the organic food label really means. Some episodes are not appropriate for younger kids, so we recommend reviewing them before you listen. 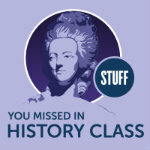 Stuff You Missed in History Class: From the HowStuffWorks team, this podcast has an episode for every topic imaginable. Stories cover culture, art, science, and politics both in America and around the world. 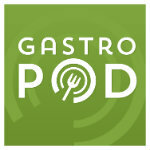 Gastropod: This show is all about food! Looking at food through the lens of science and history, Gastropod interviews people and visits places to discover the surprising science behind the world of food. 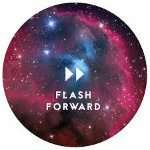 Flash Forward: Each month, this podcasts takes on a possible scenario and considers how the future would play out. What if California left the United States? What if robots take over farming? Listen to find out! Another recommendation for middle school: The Unexplainable Disappearance of Mars Patel. This was a big hit with my sixth grade students.